The next type of modern battery is the Gel Acid Battery. These batteries use a gel instead of a water / acid solution or glass mat media. The gel is mixed with a sulfuric acid that again reduces the fatigue of vibration and shock, keeping the plates stable inside the confines of the case. The gel cell battery is better suited to frequent deep cycles and draw-downs. You can expect a greater life span out of the gel cell. Modern vehicles place a greater demand on the vehicle’s electric system and gel cell batteries can provide the extra power needed. They also operate better under a greater temperature range. As with anything, there are drawbacks to gel cell batteries. Plus, they are dramatically more expensive than traditional lead acid batteries. They also require Smart battery chargers that can charge them at the optimal rate and maintain the perfect voltage in the battery during the process. These chargers utilize a constant charging rate at the ideal rate. AGM (absorbent glass mat) Batteries are a more modern type of battery that offers several advantages. The lead plates are suspended in a glass mat material and the electrolytes are in the glass mat as well. These batteries are less prone to shock, and hold up better to abuse. There is also no concern about venting and replacing water in the battery. Are there drawbacks to AGM batteries? Yes. High on that list is the price. These batteries are significantly more expensive. This cost will tend to even out over time as the AGM battery tends to last longer than traditional flooded batteries. 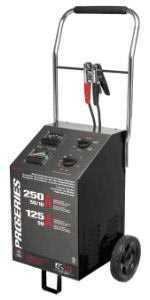 AGM batteries require specialized battery chargers that can charge them at the optimal rate. These chargers are called Smart Chargers and again and generally more expensive than traditional battery chargers. Deep Cycle Marine Batteries are another type of battery that is better suited to longer term, deeper draw downs and frequent recharging. These batteries can be constructed of AGM, Glass mat, and traditional flooded batteries. Charging these batteries is more complicated than traditional lead acid batteries and a specialized “Smart” battery charger should be employed to maintain optimum battery health. We carry many different battery chargers, but the ideal battery charger for any battery type is our Pro-Logix line of battery chargers by Solar. They are fully automatic chargers that utilize a microprocessor to provide the perfect charging rate for each battery it happens to be hooked up to. You can move from one type of battery to the next in quick succession and not have to worry about the charging rates and conditions. It’s all taken care of for you. Fathers Day is a great time to give your dad a gift that he can really use. Sick of giving away ties and socks? Give him something that he really needs. Everybody needs a handheld jump starter box, whether they realize it or not. If you’ve ever been stuck somewhere out in the cold with a dead battery, you know what we mean. If you haven’t, odds are, you will be sometime in the future. Many times, your car battery can die without any warning. You start it up fine one day, and the next, it doesn’t start. Modern car batteries usually last from 5 to 7 years depending on various factors. Even if you car battery is strong and healthy, all it takes is one time of forgetting that you left an overhead light on in the cab. Then you go to start it, and …. nothing. That’s why we thought it was a perfect time to have a sale on Fathers Day for this type of product. It’s something every dad can use. For this week only, from 6/25 through July 2nd, take an additional $10 off any of our Jump N Carry hand held jump starters. They are already on sale at the lowest prices on the web. But we took it just a little further – For DAD! These are the absolute best jump start units on the market today. They are commercial quality, packed with features and made to last with the most durable case in the industry. They also have the most comprehensive warranty in the industry. 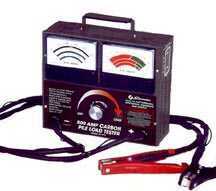 No list of must-have auto shop equipment would be complete without mentioning battery chargers. This is a vital component to add to any garage owner’s arsenal of tools and equipment. They are not only needed for charging batteries of disabled vehicles, but also for starting them if necessary. But what type of Automotive Battery Charger should you get? There are so many different types and styles that a consumer who doesn’t know what he is looking for can be overwhelmed. First course of action is to determine the purposes for your charger. Do you need it just to trickle charge some car batteries, or will you also need it for jump starting cars as well? What type of vehicles will you be using it on? If you’re focusing mainly sports cars, then you probably don’t need a very large or powerful charger. Maybe a bench top charger with a 10 amp maximum charging rate along with a lower 2 amp trickle charging rate when needed will suffice. Then again, if you service a fleet of trucks, you’ll want to make sure that the charger you get has plenty of power and charges at a variety of charging rates, along with a powerful 200 to 300 amp starting rate. Then there are other features that you may want to consider. Some chargers will have some very useful features that will help you diagnose vehicle charging system problems. Some of these features include a battery load tester to confirm the battery is good. 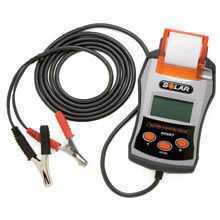 Some chargers can test the alternator to make sure it is supplying voltage to the battery. Some chargers have a timer that will turn it off after a designated time peroid. Others are automatic and will turn off when the battery is fully charged so you don’t have to worry about overcharging the automobile battery. Some chargers are UL approved for outdoor use. Finally, you’ll want to consider which manufacturer you prefer. There are many fine manufacturers of automotive battery chargers. We carry several that are considered leaders, including Schumacher, Solar, and Christie. Stick with a leader and you can’t go wrong. All accounts of the recent Barrett – Jackson Classic Car / Collector Car auction from January 17 – 23 was a huge success. High end cars received premium bids, and mid range cars also did quite well. Sales were reported to be up over 10 % from last year, with total sales topping $70 million. This was Barrett Jackson’s 40th anniversary, so it was a special event. You could watch the highlights unfold live on cable TV if you wished. This not only makes for interesting TV, but it also serves as a primer course on what to expect if you plan on selling, buying or just attending the event in the future. Many celebrities and athletes were there, including Richard Petty, Randy Johnson, Brett Michaels, Tim Allen, Valleri Bertinelli and many more. One of the more notable sales was the 1963 Pontiac Bonneville “JFK ambulance”, which sold for $132,000. This was the vehicle that carried JFK’s body to the hospital. Barrett – Jackson recently purchased our Solar 2001 and 3001 Wheeled Automotive Jump Starters from us in late 2010.  These are premium automotive wheeled jump start units that are manufactured by the best company in the business – Clore Automotive. All components are premium quality, and with features that are meant for longevity. If these automotive jump start units are good enough for Barrett Jackson, they should be good enough for your shop. A vehicle’s battery is a vital component. The electrical systems of today’s modern cars require more juice than ever before. Not just for starting purposes. Plus there are components and systems that drain the battery even while the vehicle turned off. Of course, larger engines require more power. Cold weather also requires more power, because the oil and fluids are thicker and the chemical reaction in the batteries is slower. So, Just how many cranking amps should your jump starter have? Your battery in your vehicle should give you a clue. It will typically list the cranking amp rating, and/or cold cranking amp rating right on it. Your owner’s manual should also list this information. Cranking amps is a rating of amperage output of the battery at 32 degrees F. Cold cranking amps is a rating of amperage output of the battery at zero degrees F. As the temperature goes down, so does the amperage output of the battery. Get a jumpstarter that puts out as many cranking amps as the batteries in your car require. The thought here is that if the vehicles battery is completely dead, you will need every bit of power as the battery normally puts out. If the jump starter has less power, you may be able to start the car if the battery isn’t completely dead, but you will be left stranded if it is. Battery maintenance is also important. If it is not sealed, check it every season to make sure the water level is proper. Remember to only put distilled water in it, otherwise contaminants and minerals could attached to the lead plates and cause build-up and premature death of the battery. You should also check the terminals and clamps to make sure they don’t have corrosion on them. Sometimes the buildup is bad, and the acid can be problematic. You can counteract the acid by creating a solution of baking soda and water. It not only neutralizes the acid, it will help you remove the build-up and corrosion. Use a wire brush to remove any corrosion and before re-attaching them, brush on a commercial corrosion inhibitor. Replace any hardware that is corroded beyond repair. Wear eye protection when working with batteries. Nothing is more painful than acid. Even one small drop can cause great pain and tissue damage. If some acid gets on you, flush with copious amounts of water. When disconnecting the battery in your vehicle, you should connect your jump starter to the vehicle via the DC power port. Most jump starters come with a DC power port and a male to male plug. This will save the memory of the various electronic components in your vehicle. If your vehicle is frequently in storage for extended periods of time, you may want to get a Car Battery Charger to maintain the charge. Be sure to get one that is automatic. It will turn on and off as needed, so you won’t overcharge the car’s battery. It just maintains a full charge. Follow these maintenance tips to avoid getting stranded out on the road on a cold winter day. And make sure to get a good quality Battery Jump Starter to be prepared in the event you do get stranded. You are currently browsing the archives for the Battery Chargers / Jump Starters category.